How Much Money Is in an ATM? "Time" reports that the average ATM can hold as much as $200,000. It is noted that while an ATM can hold up to $200,000, many ATMs contain less money, particularly during the evening. 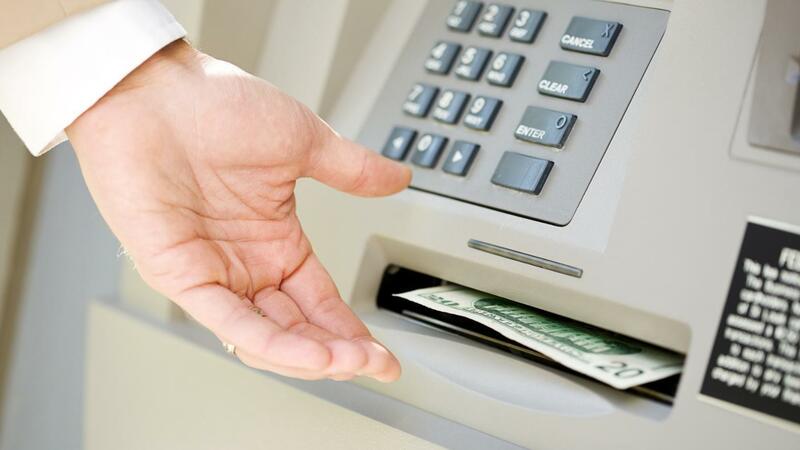 While a business or bank is closed, the ATM may contain as little as $10,000 or less. Outdoor ATM notes that smaller ATMs, such as those that are owned independently and located outdoors, may hold up to 10,000 bills of varying denominations. The site recommends that independent owners stock the ATM with between $3,000 and $5,000 until the owner can assess how much money is being requested by consumers. According to "Time," ATM theft rose in 2009 and 2010 as a result of economic recession in the United States. How Much Money Can You Take Out of an ATM? How Does an ATM Locator Work? What Are the Chase ATM Withdrawal Limits? How Much Money Do Banks Keep in the Vault? Where Can I Find a List of Arvest Bank Locations? How Do You Find Wells Fargo Bank Locations?